If we had any car buying advice to offer you, there’s nothing more crucial than a pre-purchase inspection. 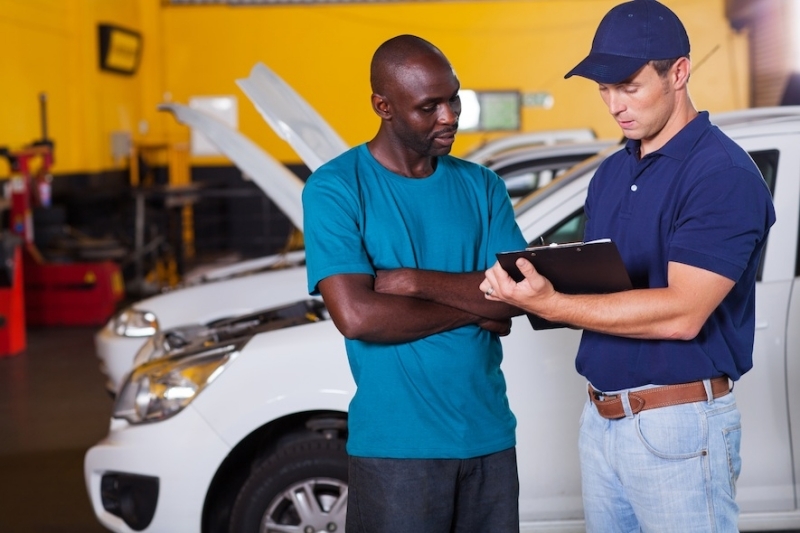 Using a mechanic to inspect your used car is essential if you want to protect yourself during the sale. The last thing you want to do is take a seller’s word about the condition of their car, even if the seller is a dealership. Take for example this story we found from a user on Reddit. You can’t always trust the seller to follow through on an inspection. Had that user not had their pre-purchase inspection, it’s estimated that repairs would have cost more than $7,000! Is that something you are willing to risk? I suppose that depends on a few things. The major reason most consumers don’t follow through with an inspection is because of the cost. In reality, it’s generally less than $100 to have a local mechanic take a look at the car. That’s far less than what you would pay in the long run if you bought something defective. The pre-purchase car inspection is done through a third-party, independent service. They are responsible for evaluating the condition of your vehicle before you make an offer to the seller. Even the Federal Trade Commission (FTC) recommends having this inspection done before making a purchase. What Does the Pre-Purchase Inspection Cover? When you hire an evaluator to examine the vehicle, they look for hidden damage, overall safety, and maintenance history on the vehicle. Then, they will provide you with a written evaluation that you can take back to the seller. The mechanic should take the car on a test drive over various terrains. Driving on hills, on the highway and in the city all offer a unique perspective into potential problems. The evaluator will be able to tell you if previous work was completed that wasn’t done properly. This might be something as simple as some accessory modifications to something as extensive as improper service to the engine. Discoveries may include hidden rust, suspicious odors and burned-out bulbs. If the car has overdue maintenance, you’ll find out about that as well. This could include bad brakes, worn tires, dirty oil or air filters that haven’t been changed. With this information combined with the vehicle history report, you’ll also be able to tell if a car has ever sustained flood or fire damage. If you want to get top dollar for your vehicle, you may also consider getting a pre-purchase inspection when you sell a car. Allowing someone to scrutinize your vehicle and provide a report to potential buyers adds a level of trust that consumers are willing to pay for. It’s the best way to get top dollar for your vehicle. In fact, sellers that are willing to go to these lengths often get more than the typical value on their car. People are willing to spend extra for peace of mind. Once you are sold on the idea of having an inspection, you now have to determine if you want a garage or mobile evaluation. You can either have a mobile inspector come look at the car or you can drive it to a shop. Each option has advantages and disadvantages. With a mobile inspection, you have more convenience. The inspector meets you at your office or home and does the inspection on site. They have full capability to take photos and print out a report on the go. This might cost more, but it’s worth it if you don’t have the time to spend on a garage inspection. With a garage inspection on the other hand, driving your car to the shop allows for a more detailed evaluation. There’s specialized equipment at the garage that can’t be used for a mobile analysis. In addition, the mechanic can put the car on a lift to see the underside clearly. Most sellers won’t have a problem with you getting an inspection from either avenue. If they hesitate, you might want to reconsider buying the car. The availability of the Internet makes everything easier, including car buying. Drivers now have access to thousands of makes and models that might not be available in their hometown. With all these online sellers also come plenty of potential problems that the buyer might not know about. From fraud to paperwork trouble, getting a vehicle inspection can help ease these concerns. The first step is to ask for plenty of close-up pictures of the vehicle. Then, run a VIN check to ensure the title is clear of liens. Of course, you also want to get the pre-purchase inspection, but how do you do that when you aren’t there? What many people don’t realize is that arranging a long-distance inspection isn’t as difficult as you might think. 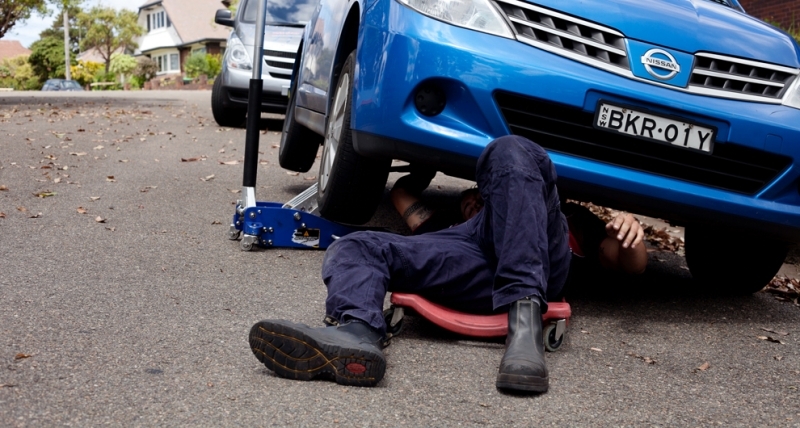 If you know where the car is located, simply ask them to recommend a reliable mechanic. If they don’t have one, you could always contact the dealer of that model in the area, one that can be trusted to provide accurate details. Then, contact the shop and arrange for your inspection. If you pay for it, make sure that the paperwork comes directly to you, not the seller. Hopefully, the answer to that is no. You don’t want to take unnecessary risks that put you in danger. That’s exactly how you should also look at the car buying inspection process. It operates as a form of insurance for your safety. Of course, no inspection is guaranteed to find every problem or flaw that a used car has. A trained professional, on the other hand, is capable of spotting the most severe issues in a few minutes. Even if the issues aren’t deal breakers for you, they will at least provide enough information that you might be able to negotiate further on the price. Considering there are thousands of dollars potentially on the line if something goes wrong down the road, isn’t a pre-purchase inspection worth it to you? Older PostWhat is the Show and Display Rule?